Participation in the meeting is open to those 18 to 35 years old, and also adult leaders of groups of young people. Mug, spoon, reusable plastic plate, water-bottle, torch, and small mat/cloth for sitting on the ground. Participants from outside Cape Town will be hosted overnight and given breakfast by families throughout the city. Bus transport will be provided for participants from each host church to the central venue. Simple meals will be served at midday and in the evening at the central venue. Those coming from other continents may arrive a few days before the meeting to stay stay in a neighbourhood in the Western Cape (area around Cape Town). This is to share the life of the local people, rather than a touristic visit. If you are interested in this, then indicate this on your registration form, and plan to arrive on 19 or 20 September. We need a certain number of the participants from South Africa to arrive 2 days early (23rd Sept.) to help — welcoming participants on arrival day, as stewards, etc. To do this, please indicate it on your registration form (same financial contribution as other participants). Cape Town has a climate similar to that of places on the northern Mediterranean: never very cold during the day, but it can be cool at night. As before any long journey make sure that you are in good health before you travel, and bring any medication you may need. Those coming from other countries will need a valid passport. If you have a passport of the countries listed on this page, you do not need a visa. If you do need a visa, you will find information on obtaining one on this page or this page. Taizé can provide a letter of invitation needed as part of your visa application: give your passport details on your registration form (or alternatively, send us a scan of your passport). The financial contribution is used for meals (lunch and supper), transport by special buses between the central venue and the neighbourhoods where participants are accommodated, the hire of marquee tents, as well as other costs. The cost of the meeting is being kept to a minimum, and the families and local churches of the host neighbourhoods of the city are offering their hospitality freely. The contributions will cover only a part of the cost of the meeting. If you wish to give financial support, you can do so by contributing more than the requested amount. * If you arrive early for a “pre-meeting stay” please contribute €20 more if possible. 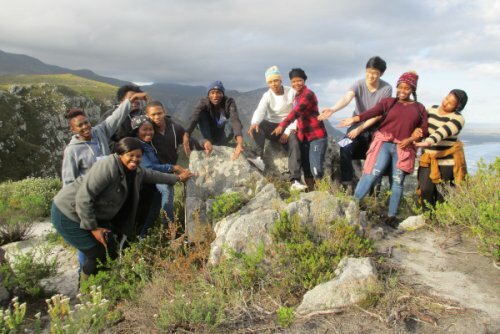 Participants coming from outside Cape Town: Please use the the online registration form to tell us as soon as possible of your intention to participate — even if details of your journey, or dates, or the number of people (if you are bringing a group) are still unclear.